Minibeasts are always a popular topic in all Early Years settings. 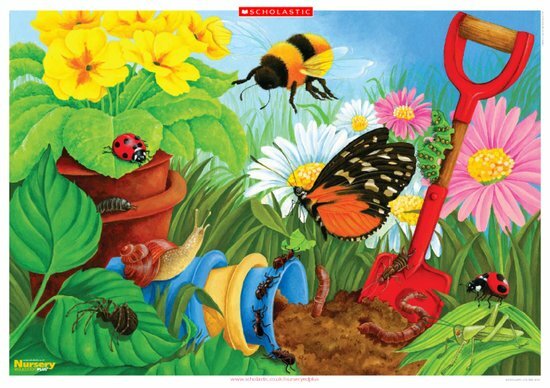 Display this brightly-coloured poster to encourage the children to search for their favourite creatures among the vegetation in your outdoor area. Holiday fun can be free!